There’s an ever growing list of places on the web where you can spend Bitcoin Cash (BCH). However, Amazon stands out as an online retail giant that dominates many markets. Today’s tip explains how to shop on Amazon using bitcoin cash (BCH) while claiming a great discount to boot. Purse.io is a platform that offers significant discounts for cryptocurrency users on products sold on Amazon. Users can search for any item they want to purchase and select a discount of 5 percent for fastest delivery times or they can name their own discount at the expense of speed. According to the site’s statistics, the company facilitated over 300,000 orders during 2018 with an average discount of 18 percent. The platform essentially works by connecting crypto shoppers with people who wish to exchange their Amazon gift cards for cryptocurrency. 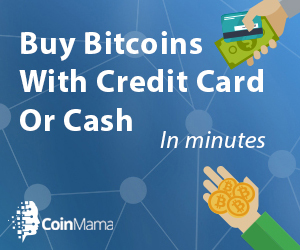 This also means that in addition to shopping on Purse.io, you can use the platform to purchase bitcoin cash with any Amazon gift cards you may have, something that is not possible on exchanges. What do you think about using Purse.io for discount shopping on Amazon with BCH? Share your thoughts in the comments section below. Images courtesy of Shutterstock and Purse.io. The post How to Save Over 15% Shopping on Amazon With Bitcoin Cash appeared first on Bitcoin News.